Unfortunately, we have canceled this event due to low registration! We hope to do it again soon! We're so excited about this new event! The store will be decked out in black lights and we'll be ready to sing and dance at our Neon Party! 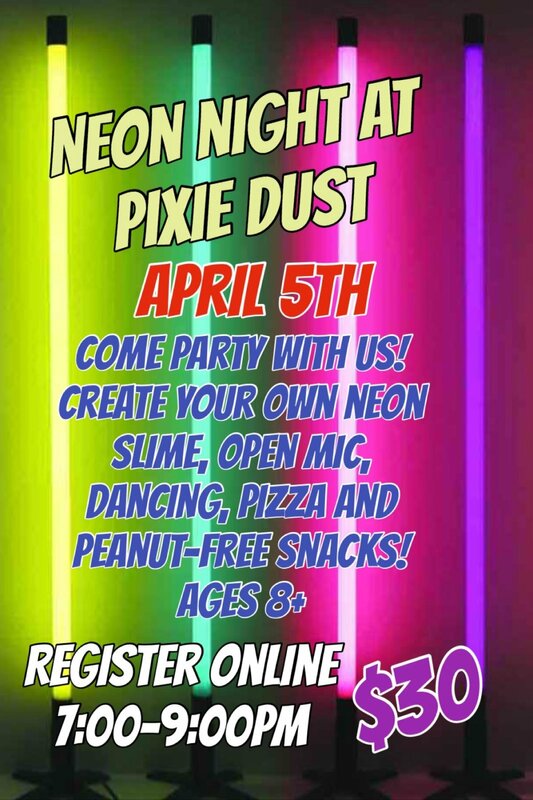 We'll be having pizza, drinks, peanut-free snacks, creating our own neon slime as well as singing our favorite songs and dancing the night away! Be sure to wear as much white as you can! The more white, the more you will glow!